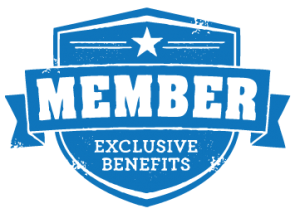 Membership in the Florida Association of Private Investigators, Inc. gives you the opportunity to be a part of a professional organization created to provide a voice for licensed private investigators and related professionals within the State of Florida and throughout the United States. FAPI offers its members extensive networking opportunities with other experienced investigators nationwide, and a place to share referrals, questions, sources of information and more in a friendly, non-competitive, yet professional atmosphere through our members only discussion group and forums. Regional Events - Each region holds regular Networking Socials. Employees and guests are welcome. Refer to the events page of our website for the latest listings. FAPI Branded Items - Members are able to purchase FAPI branded items such as shirts, laptop bags, golf towels, etc. through our online shopping portal. Annual Conference - FAPI members are offered a discounted rate to attend the FAPI Annual Litigation & Investigators Conference. FAPI presents an annual conference where you are able to network with top industry leaders, attend workshops that offer continuing education credits and participate as a vendor. Sponsorship opportunities are also available. Use of the Contract for Investigative Services created by FAPI. All members of the FAPI are encouraged to get involved in our online forums. We offer a News / Education Forum as well as a general Yahoo Groups Forum to assist with your day to day operations. New members are encouraged to join and review some of the topics currently being discussed. 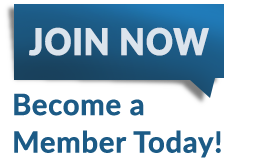 Members receive a free searchable listing in the FAPI online member directory accessible to the public. The listing provides basic company contact information, a direct link to the member's Web site, and a direct link for visitors to send an e-mail message to the company. Visitors to our site may locate members by business name, City, Zip and county. This allows not only referrals from Florida but across the Nation. Extend your reach and join the FAPI group on Facebook. Receive Eblasts on news and upcoming events. Members are also able to list their FAPI region events for added exposure in the Eblasts, on the events section of our website and Facebook. FAPI was founded to help create a voice for our industry. Be a part of a unified voice on political issues that affect our business and livelihood.